The Palacio de Congresos, currently celebrating its 20th anniversary, is a state-of-the-art conference and exhibition centre in the heart of Valencia, Spain. Also known as the Palace of Light, due to its glass-fronted façade and distinctive roof design, the Palacio regularly accommodates large-scale international conferences organized by multinationals, trade associations and government organizations. 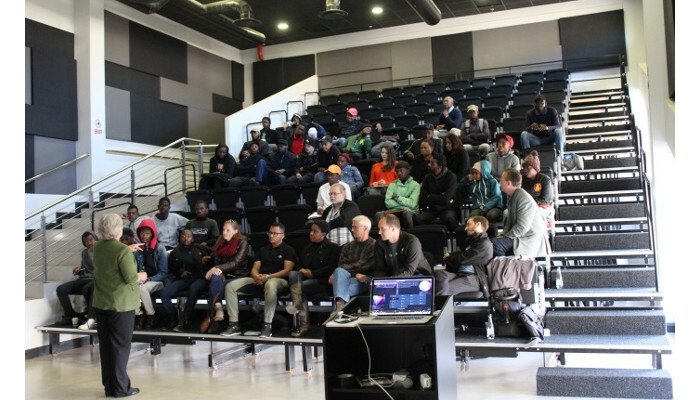 Most events gravitate around the main auditorium with room for up to 1,481 participants, as well as smaller auditoria with capacities for 467 and 270 people. 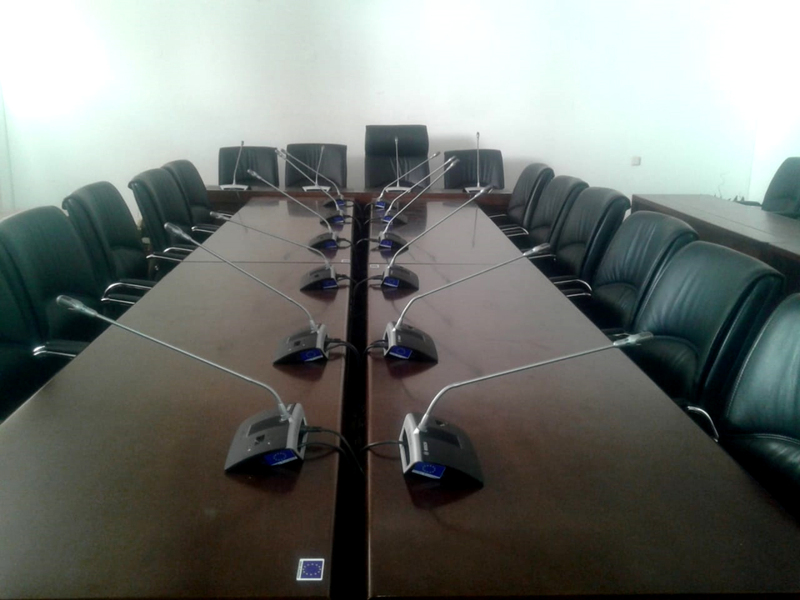 If needed, an IP-based video and audio network can connect up to 2,250 participants across these separate conference rooms. The from Bosch provided the perfect solution. Because the system is IP-based and Ethernet compatible, the existing IT infrastructure of the Palacio de Congresos could be used. 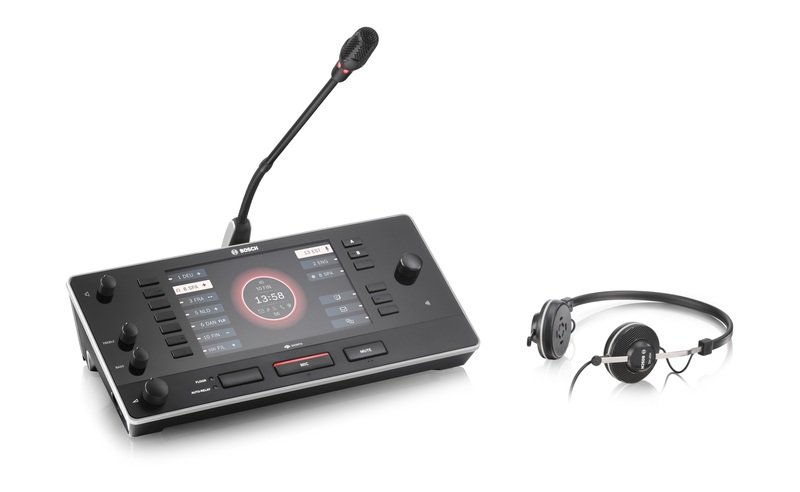 The OMNEO* Interface allows transportation of the language channels via the IT network from the auditoria with fixed interpreter booths to the meeting areas that don’t have these facilities. DICENTIS streams the language channels from the interpreter desks to the DICENTIS Conference devices in the main auditoria, and also to all the active conference devices in the Palacio’s smaller meeting areas. 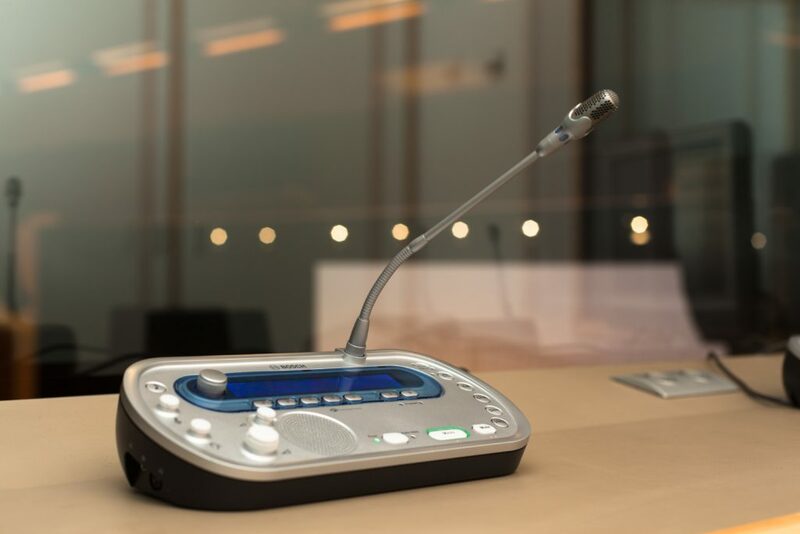 The floor languages of the active conference devices, regardless of their location, are streamed back to the interpreter desks. ETC streamlines MIDI integration for its Eos-family consoles with the introduction of the Response MIDI Gateway. 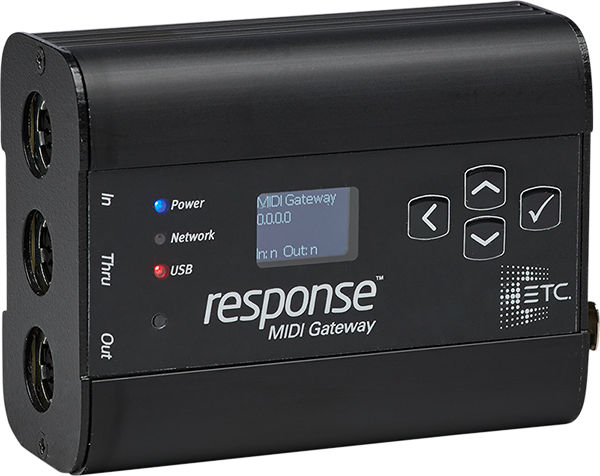 The Response MIDI Gateway is a reliable, portable device that can send and receive info in all formats of MIDI: Note, Show Control (MSC), and Time Code (MTC). It can also translate MIDI to UDP and UDP to MIDI for advanced applications. It is now available for ordering. The Response MIDI Gateway lets you directly integrate MIDI with your console to trigger events or to control objects. It has In, Out, and Thru MIDI connections and connects directly to your console via USB or via the network thanks to a wired RJ45 connection. It is powered via USB or PoE. The clear LCD menu screen and four simple buttons on the top of the unit make setup and configuration easy. All of this in a package that’s compact enough to be used anywhere: onstage with the band, next to the show control station, or tucked away behind your console. At Lightfair 2018 ETC debuted EchoTouch, the perfect controller to create customised lighting looks for a variety of spaces. 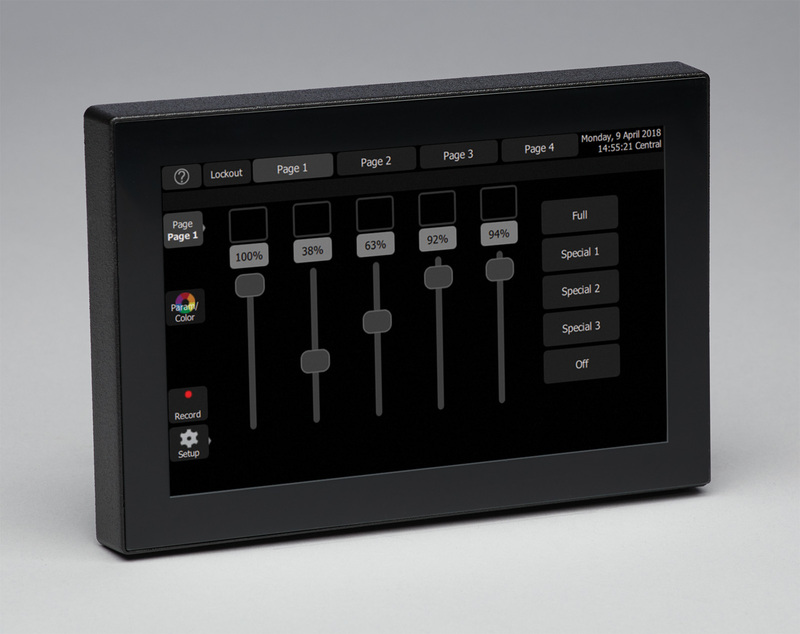 A stand-alone or integrated controller in ETC’s Echo line of architectural lighting solutions, EchoTouch also offers advanced lighting controls like sequence programming and colour tuning, all from a 7-inch touchscreen. EchoTouch shines in all environments, whether it’s controlling lighting zones for general use, managing white-tuning, creating dramatic looks for restaurants and hotels, or creating a welcoming environment for museums, houses of worship, and more. The graphics on the screen support customised layout and naming for any application. The touchscreen interface provides three standby modes to conserve screen life: displaying a user-provided logo, dim, and off; and returns instantaneously to normal functionality with any user interaction. Because EchoTouch is part of the Echo family, it works flawlessly in an Echo control system. All Echo control and power products are compatible: control stations, responsive controls, interfaces and EchoDIN power controllers. Integration and control for DMX and sACN fixtures and devices is also straightforward. Building managers can use EchoTouch to program Echo zones and preset looks so day-to-day use of a space is easy. Special sequences can easily be created via the intuitive interface with easy-to-use faders and buttons displayed on a vibrant 7-inch screen. Native RDM makes discovering and managing lighting fixtures even easier. Colour control is simple and accessible with a colour picker and customisable colour chips to let users take full advantage of their system. The stylish, sleek, and durable design is built to withstand daily use in high-traffic areas. Its modern style matches common architectural finishes, and it’s designed to be neutral to fit anywhere. The black glass front is offered in four bezel colours: cream, grey, white and black. After avid musical instrument collector Steven Kern Shaw passed away, Belmont University in Nashville, Tennessee received a generous donation of more than 500 vintage instruments. 100 of them are now on display in a unique venue that is part art museum, part performance hall. Belmont is known for high-level graduates in the music and entertainment industry and seemed like a natural place for an instrument donation of this magnitude to be housed. The focus on the history of stringed instruments is apparent. One exhibit shows the history of the mandolin and includes renowned instruments designed by Lloyd Loar in the 1920s. There are only a handful of their kind in existence in the world. ETC’s Irideon FPZ fixtures were up to the challenge. Every FPZ fixture was programmed to be dimmed and controlled individually throughout the museum. 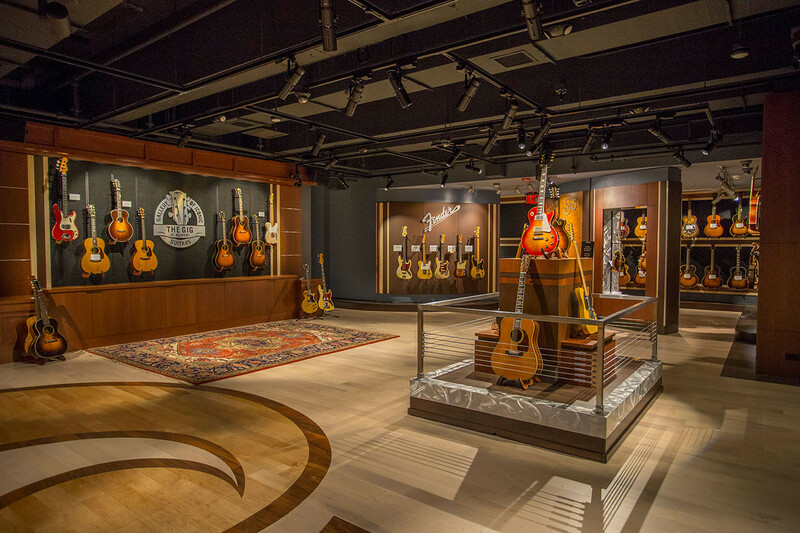 It’s been one year since the museum known as the GIG or, Gallery of Iconic Guitars, opened. 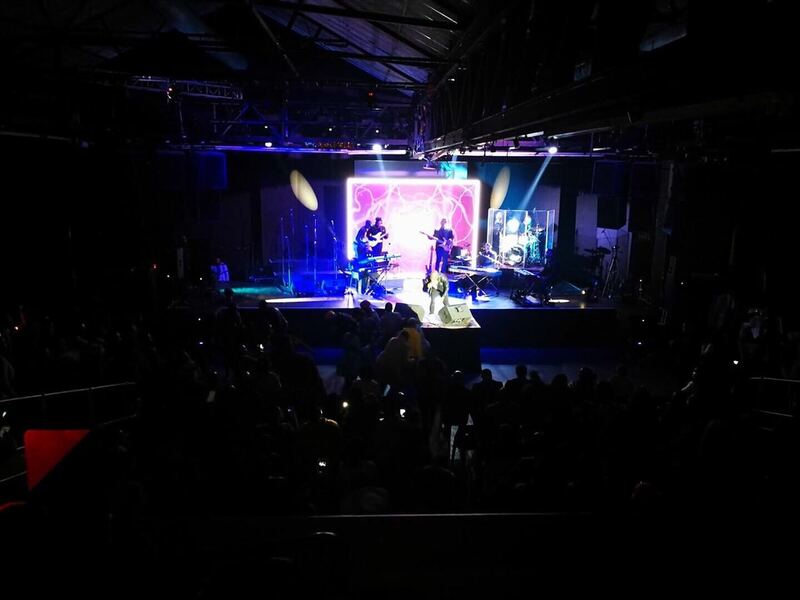 It continues to attract the attention of music fans with its intimate experience of both music and the history behind it.